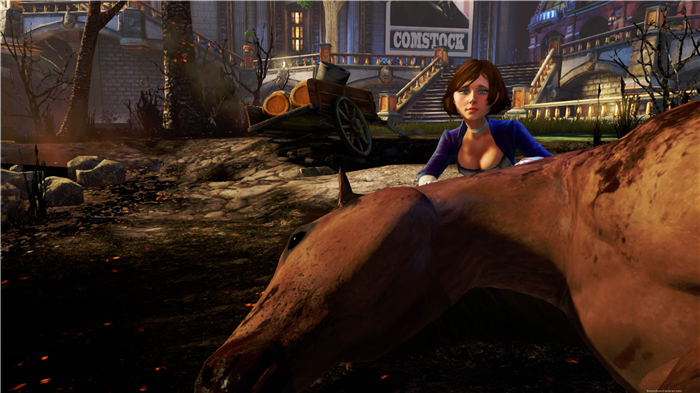 One of the hardest things about writing up what was shown of BioShock Infinite at E3 this year was knowing that words would only tell half the story. Irrational Games‘ latest is stunningly beautiful to behold, and you don’t really get a sense of the gameplay possibilities from mere words. You have to see protagonist Booker DeWitt swinging from skyrail to skyrail in a massive, open battlefield to really appreciate what this 2012 release might offer. How fortunate then that Ken Levine confirms in the video below that the full 15-minute demo from E3 will be shown as part of a half-hour special airing on Spike TV on July 7. It’s like having a little taste of E3 — the best taste the annual trade show served up this year — in your very own home. The video below also contains the first two minutes of that demo for you to check out now. Be warned though– there’s no much to it. Very pretty to look at, but the real action comes in during the 13 minutes that follow this initial scene. You should still watch it, but don’t go getting your hopes up for anything. July 7, that’s when you’ll see the goods.